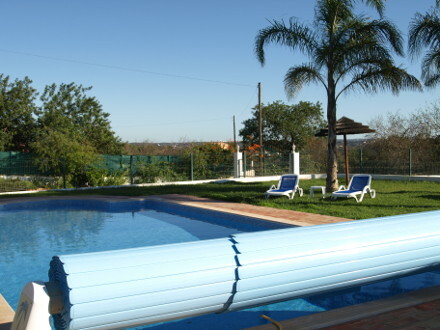 Casa das Amendoeiras is a 2 storey villa situated in a privileged elevated position, enjoying pleasant countryside views towards the Monchique Mountains in the West. 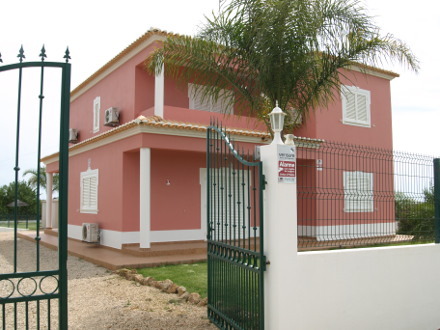 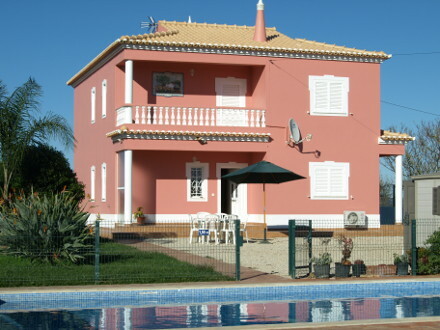 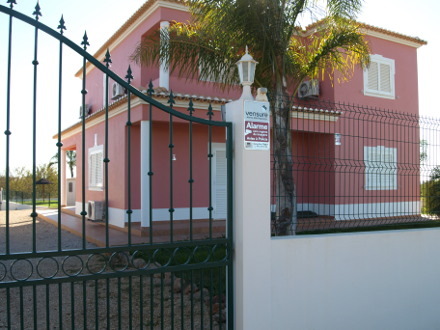 It is within easy driving distance of both Algoz (east) and Alcantarilha (south) and around 11km from the seaside resort of Armação de Pêra. 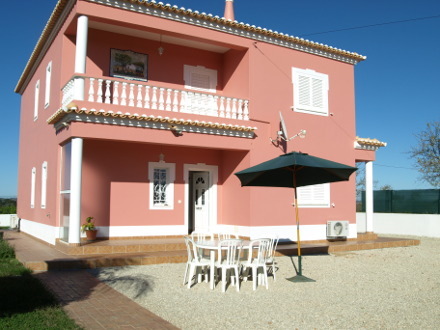 Accommodation downstairs comprises a large, fully equipped fitted kitchen with fridge freezer, oven and hob, microwave, dishwasher, electric kettle, toaster and coffee machine. 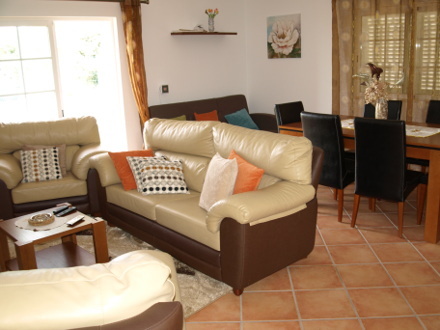 Also downstairs there is a sitting/dining room with satellite TV and stereo. 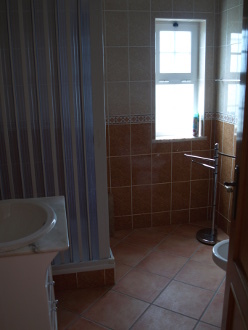 In addition there is one double bedroom and a bathroom with shower. 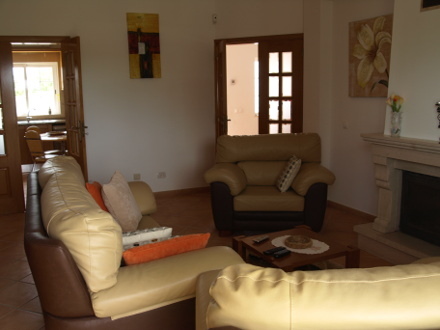 Upstairs, there are one twin and two double bedrooms sharing a full bathroom. 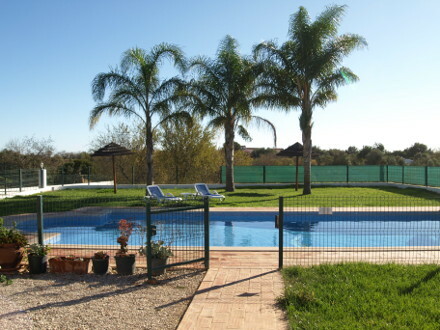 Two of the bedrooms open out to balconies enjoying panoramic views of the surrounding citrus orchards and the Monchique Mountains in the distance. 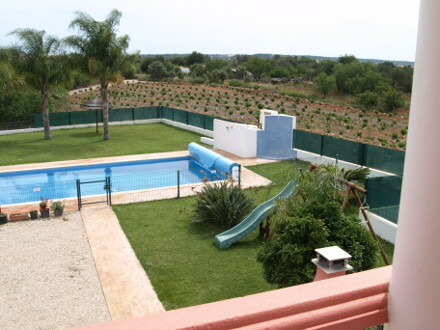 Reached through a remote controlled gate, the villa is situated within its own large fenced grounds featuring an established variety of fruit and palm trees. 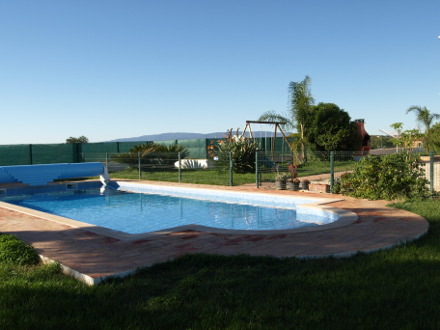 The swimming pool (4 x 9m – optionally heated at an extra cost of 120 Euros per week) has an outside shower and is completely fenced and gated for child security. 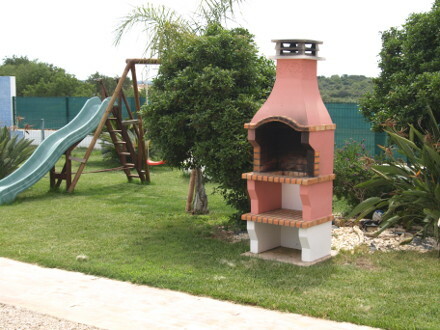 It is surrounded by large lawned areas, with a good supply of shades and outside furniture.